Working with clients' heirloom jewelry. Each piece was informed by the client and built by me. use the Contact link to get started on your own unique refashioned project. 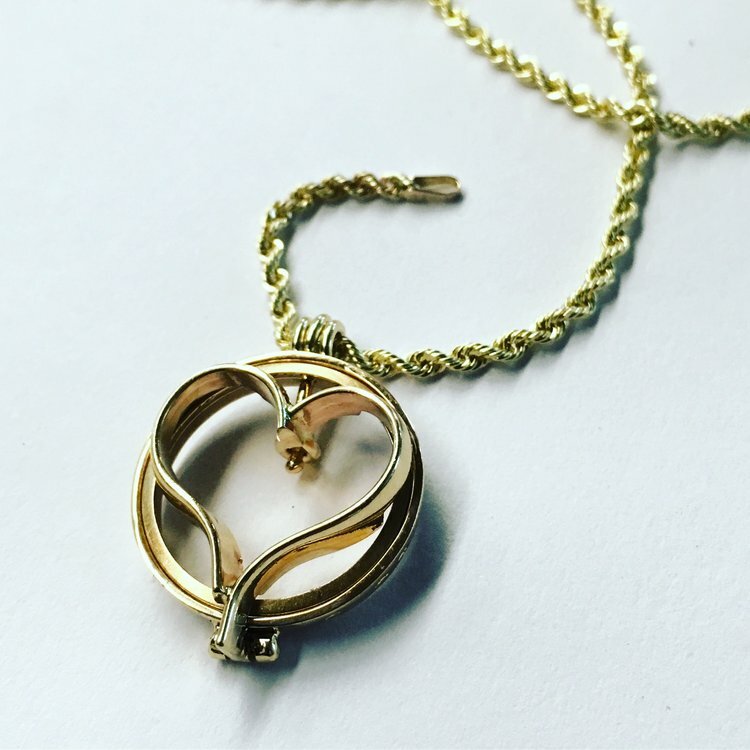 To rewear a loved one's jewelry doesn’t feel natural to everyone. Too often these sentimental pieces end up in a jewelry box, unused. The thought of melting them down for the small monetary return seems sacrilegious. These pieces of jewelry end up in a limbo of sorts; too important to lose, but awkward to wear. The sentiment of the jewelry is what is causing you to keep the jewelry, even if it’s unused. So harness that sentiment and build a nostalgic heirloom from this unused treasure. Refashioning important jewelry requires respect for the original piece. I repurpose as much of the original material as possible, so that the original piece can be found within the new creation. By keeping the details of the jewelry, the narrative remains intact as well.